Everyone has bad days. Try as you might, you just can’t avoid them. You have to put things in perspective, though. Waking up with a headache on a day when you have nothing to do is a sort of bad day. That is nothing to get too cranky about. Waking up with a horrible sinus infection and high fever on a day when you are supposed to interview for your dream job is a very bad day. There are, unfortunately, people who have nothing but bad days. There are places on this Earth where practically everyone is suffering all of the time. The leader of the country may be a tyrant, or you may be worried about contracting malaria. People who have lost their spouses and children have nothing but bad days for a very long time. Sadly, misery does indeed love company, however; disturbing as it is, seeing the suffering of others can make us feel better about our own lives. 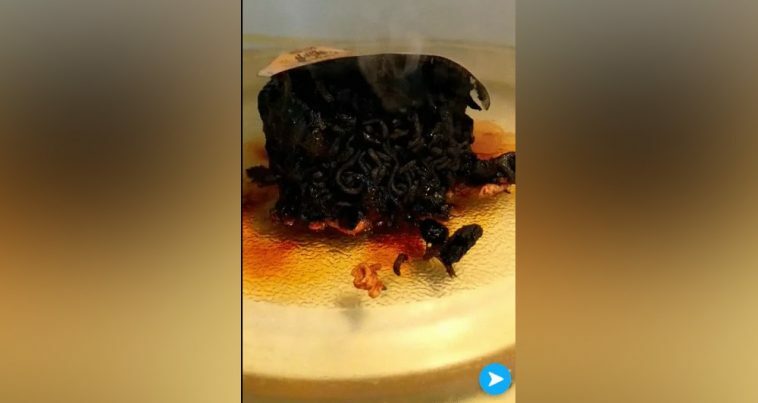 Here are twelve examples of bad days that might make you feel better about your own life. The person who saw this ticket on his or her windshield must have been extremely ticked off. A note was left that explained a situation that was sort of beyond his or her control. People lose their keys once in a while. 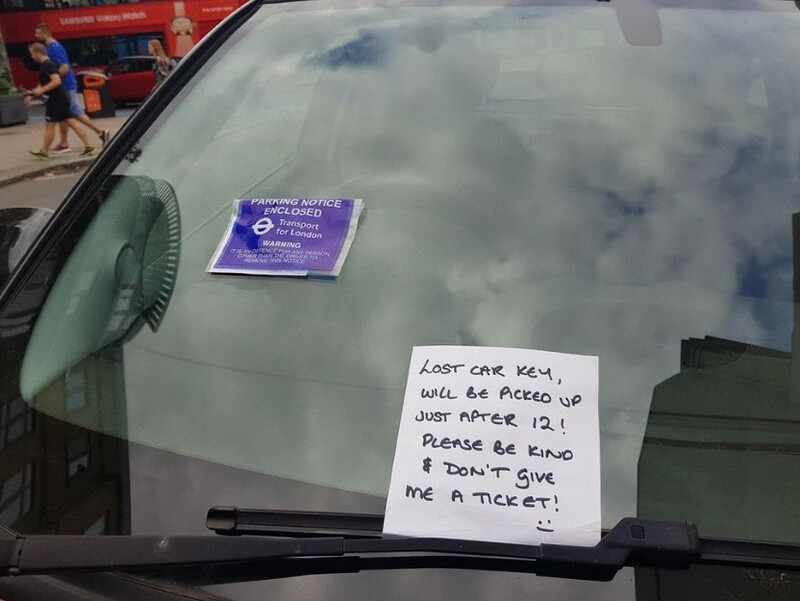 I suppose it is possible that the officer who saw the note simply thought that the person who wrote the note was lying; still, this does seem like adding a bit of insult to injury. How could the officer ignore that cute little smiley face? Personally, I am terrified of losing my car keys. If I don’t know where they are at all times, I start to panic. If I ever lose them, I will be out at least $100. The entire ordeal will also be a major hassle. I wonder how much the ticket was for. It appears the ticket was from the city of London, so I am guessing it was for a lot. I once got a ticket in Philadelphia, which isn’t nearly as big or as impressive, and it cost me $75. I haven’t been back since. I don’t even understand why I wasn’t allowed to leave my car there overnight. I wasn’t obstructing the flow of traffic in any way, and the streets weren’t being cleaned. I wasn’t depriving anyone of a parking spot. Sometimes I really do think municipalities make up bizarre parking rules in order to generate revenue. If I saw a goose waiting for me outside the door, I would be terrified. According to this sign, the geese are particularly aggressive, which is terrifying. 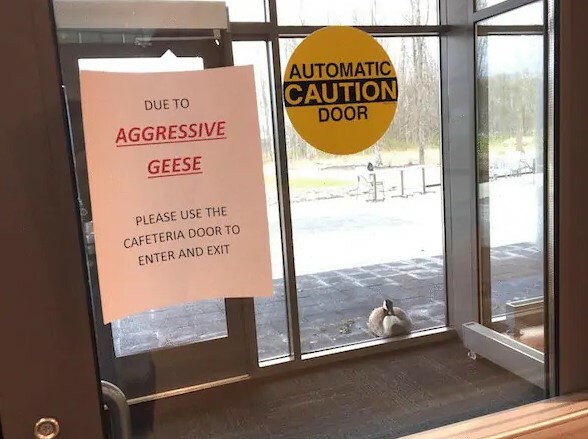 I thought all geese were aggressive. Goslings are adorable, and you naturally want to get a better look. Heaven help you, though. If that baby goose’s mom sees you approach her baby, she might just peck you to death. In general, it is a bad idea to go near baby animals. That said, I have a little dog, and I met him when he was only six weeks old. Curiously, his mother could not have given less of a crap about him. I guess that parent-child relationship was the exception to the rule. I would pick him up; she would barely notice. For a dog, she was sort of frigid. He also didn’t seem to miss her when I took him home. She was a weird dog, and so is he. There is a good chance you are having a better day than the person who got this sign. This is sort of cruel, really. 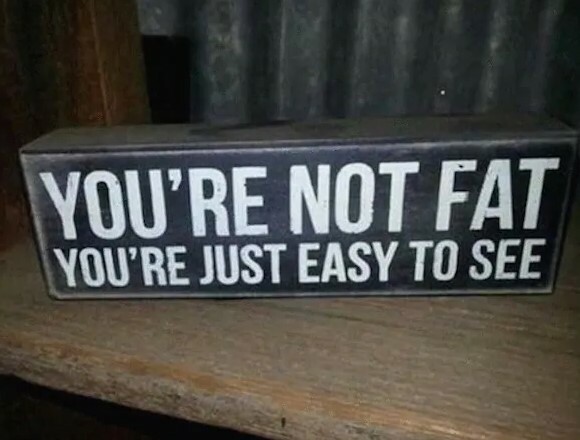 A lot of people could stand to lose weight. It is hard, though. Exercise can be sort of boring, and there is a lot of delicious food out there—just waiting to be consumed! If someone is truly unhealthy, you might consider giving them thoughtful advice and expressing your concern. Telling someone that he or she is fat is dangerous, however. Both women and men can develop eating disorders, after all, and they can be deadly. They are also extremely common disorders. For example, over 3 million people develop bulimia every year. When you are ordering fast food through a drive-through window, you probably shouldn’t get too picky. The workers aren’t paid a lot, and the food is pretty cheap. You should pretty much expect to get what you get, and you shouldn’t complain. 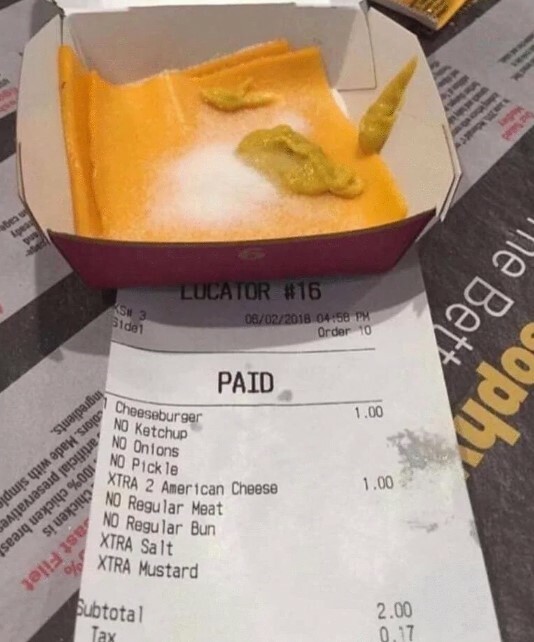 If you are ordering a $50 steak or a $20 dollar hamburger, you can afford to be picky. You can also, apparently, afford to pay way too much for something you can make at home. According to an article I read, there are hamburgers available for purchase that cost over $100. There is one available for purchase in New York City that costs almost $300. I don’t really know why it costs so much; truffle butter is one of the ingredients, as is really good caviar, but I bet it tastes pretty much like a normal hamburger. You have to order it two days in advance, which seems like a bit much. If you are hungry for a hamburger, you want it immediately. If you can afford a hamburger that costs $300, you are probably having a really great day. 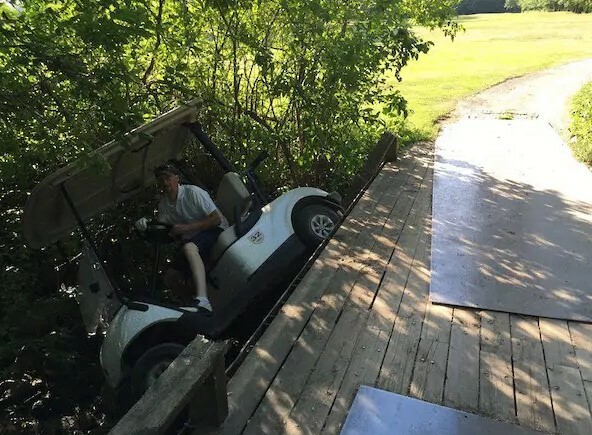 If I played golf, I could see something like this happening to me. Then again, I am not the best driver in the world. Sadly, I don’t know exactly how this happened. There is always the possibility that the driver had consumed one too many beers. I have met a lot of people who like to knock a few back during their golf game. You would they would wait until after the game so that they would do better, but apparently that is not the case. I like to think that there is a more interesting story behind this particular accident, though. Perhaps this driver swerved off of the road to avoid hitting a rabbit or squirrel or another woodland creature. This picture here is the result of a whole bunch of hail and a moonroof. I am guessing this was a very costly repair. These days, getting anything repaired on a car costs a small fortune. I used to have a car with a moonroof. The one I have now does not; frankly, I don’t miss it at all. Honestly, I don’t see the point of them. Are you going look up at the sky through your car’s roof while you’re driving around? That seems like a recipe for disaster. I have an uncle who loves moonroofs. I have no idea why. He literally won’t buy a car unless there’s a moonroof. He’s a pretty quirky dude. These kids are going to get in so much trouble. I suppose you have to forgive your children when they do dumb stuff and they are young, but this is going to cost a small fortune to repair. 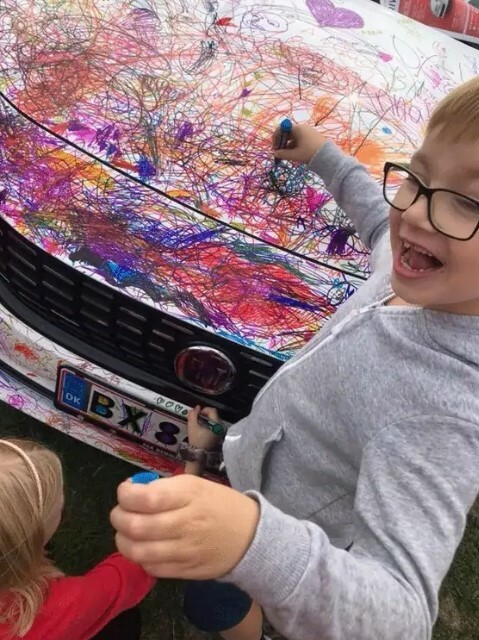 There is absolutely no way all of those marker stains came of off the vehicle. That is the price you pay if you want to have children, I suppose. You just can’t have nice stuff. If you do, you should simply accept that much of it will be destroyed. 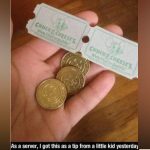 Small children have absolutely no concept of money. This whole thing is a shame, too, because it looks like this was a nice car at one point. Hopefully, it didn’t cost too much to make it nice again. This guy probably should have paid more attention to the details when he showed up for a job interview. There is no way that the people interviewing him didn’t notice the security tag. I wonder if they thought he stole the suit. That is probably where my mind would have went, frankly. I can’t really blame this guy for overlooking the tag, though. 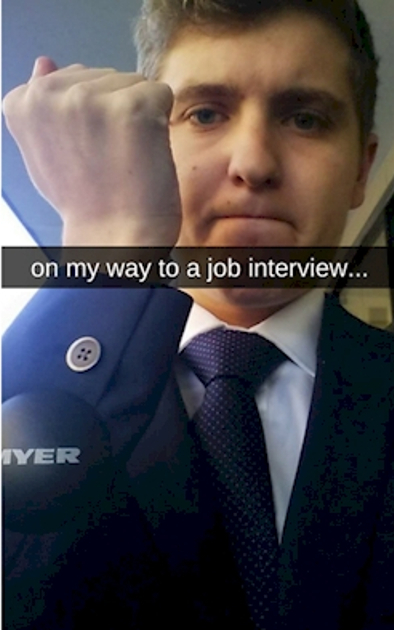 If you’re going in for a job interview, you are probably having a bad day. There is nothing I hate more than job interviews. You can’t help but be nervous! 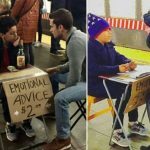 No one likes to be judged, and that’s all a job interview is really. You’re just interacting with a bunch of people who are judging you. Also, if you’re a guy, you have to wear a suit to job interviews. I know there are guys out there who love wearing suits, but I am not one of those guys. In this case, Abby is probably having a bad day. There is nothing like being publically called out by your boss. 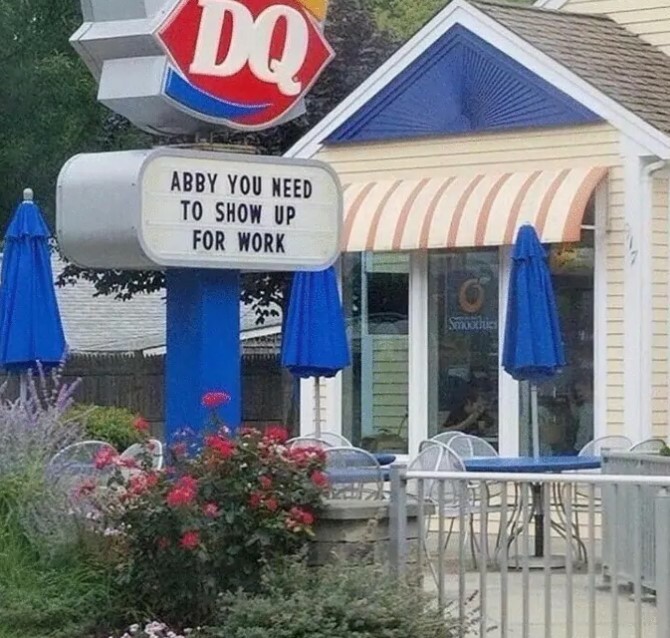 You have to wonder why Abby isn’t showing up for work. Is it possible that she is the daughter of the owner of this particular restaurant? If that just happens to be the case, this is hilarious. I just hope that Abby wasn’t harmed or injured in some fashion—and that’s the reason she hasn’t been at work lately. That would be truly awful. 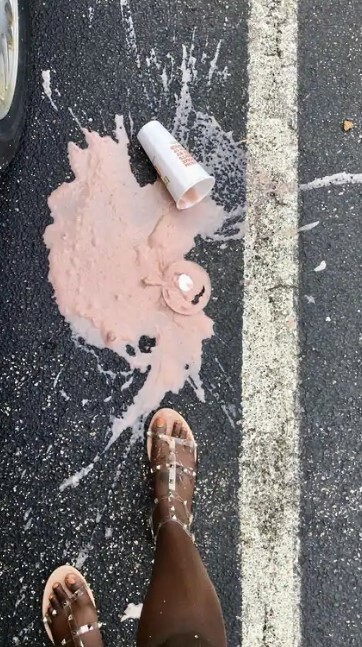 I suppose there are worse things than spilling your drink. It is irritating, though. Milkshakes generally aren’t cheap, after all. Also, it looks like some of this one ended up on the poor woman’s feet. She’s going to want to go home and take a shower, certainly. As far as I am concerned, the worst drink in the world to spill is red wine. First of all, you are out a glass of wine. Second of all, it is almost impossible to get wine stains out of carpeting. It can be done, and I have done it, but it is definitely a lot of work. Make sure to blot the stain; don’t rub it in. Cold water helps, and so does baking soda.